GENOME™ : What is it ? Never seen before, GENOME™ reveals its own way of surfing experience... Born into the deep, GENOME™ is like those huge sea monsters, never discovered yet. Perfectly balanced with flexibility and strenght, this product is the only one that allows its user to dynamically optimize his path throughout the wave... Fore more informations, feel free to visit Fyn Surf 's Youtube channel. Sound Design : Odd Siris. Terms "seabed" and "unidentified creature" are the two major notions that I used to elaborate the general atmosphere of the scene. The creature stay hidden in the deep with not much light, so we have a hardly noticeable product image. 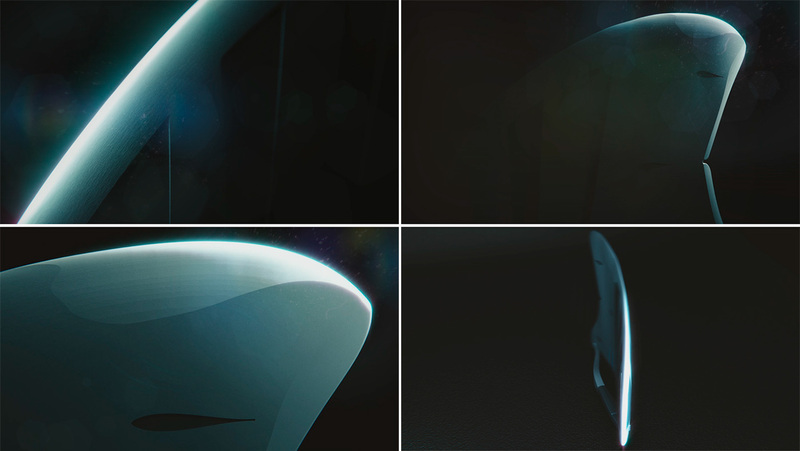 The importance of each element of the fin is determined thanks to the different close-ups which are not revealing the whole shape of the product. At the and, we are finally able to see what really makes the fin so awesome: its dynamic abillities. Visit store on fynsurf.com for further informations.